The Madaniy Surahs (Surah Madaniyyah) or Madaniy chapters of the Quran are the latest 24 Surahs that, according to Islamic tradition, were revealed at Medina after Muhammad's hijra from Mecca. These surahs were revealed by Allah when the Muslim community was larger and more developed, as opposed to their minority position in Mecca. The Medinan Surahs occur mostly at the beginning and in the middle of the Qur'an (but are said to be the last revealed suras chronologically), and typically have more and longer ayat (verses). Due to the new circumstances of the early Muslim community in Medina, these surahs more often deal with details of moral principles, legislation, warfare (as in Surah 2, al-Baqara), and principles for constituting and ordering the community. They also refer more often to the community with "O people!" 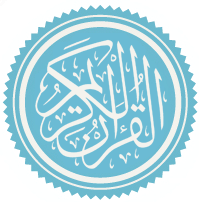 and at times directly address Muhammad or speak of him as "an agent acting in combination with the divine persona: 'God and his messenger' (Q 33:22)." The division of surahs into 'Meccan surahs' and 'Medinan surahs' is primarily a consequence of stylistic and thematic considerations, which Theodor Noldeke used to develop his famous chronology of the Qur'anic suras. Classification of the surahs into these periods is based upon factors such as the length of the verse and the presence or absence of certain key concepts or word (e.g. al-Rahman as name of God). ^ McAuliffe, Jane Dammen. "The Cambridge Companion to the Quran". Cambridge: 2006. p. 111. ^ (in Reviews) Studien zur Komposition der mekkanischen Suren by Angelika Neuwirth, Review author[s]: A. Rippin, Bulletin of the School of Oriental and African Studies, University of London, Vol. 45, No. 1. (1982), pp. 149-150. ^ McAuliffe, Jane Dammen. 111.